If you are a fan of Chuggington trains then you would most likely be familiar or have known Koko Chuggington. For those who are still on the verge of looking for the best train toy character from chuggington, then Koko here is an Iconic Chuggington train toy from the long list of train characters in the animated train film or series. Koko is an electric train which is far alike with two other famous characters, Wilson and Brewster. Koko is using the the power from the tracks to run and boost his speed faster than others. Koko is a female childish train character that loves to challenger other trains in a contest of speed. She often ask other train characters at times to a race even thou she knows fully well that other trains does not have a match with her. She is a fun and gullible character. Most kids who watches Chuggington trains easily gets attracted with Koko. One of the nice traits your kids can get inspired of is the adventurous and the unwavering self-esteem and confidence of Koko. And although childish, Koko never fails to apologize when she is at wrong or did something that have upset others. She is a respectful and honoring character, all the wonderful and heartwarming characteristic you would want your kids to follow. 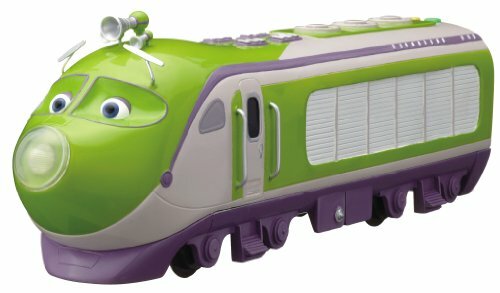 Children loving the train character and the love for actual trains, all combined into one train toy set are just fascinating for kids. They’d get attached to it and won’t get bored playing with it. The combination guarantees a long time of fun and entertainment provided that the train toy or set is durable enough to be able to do so. That is why we decided to give you a list of high quality Koko Chuggington train toys with incredible ratings, high recommendations and have tons of positive reviews. These products on the list are also noted to have passed certain criteria of quality. 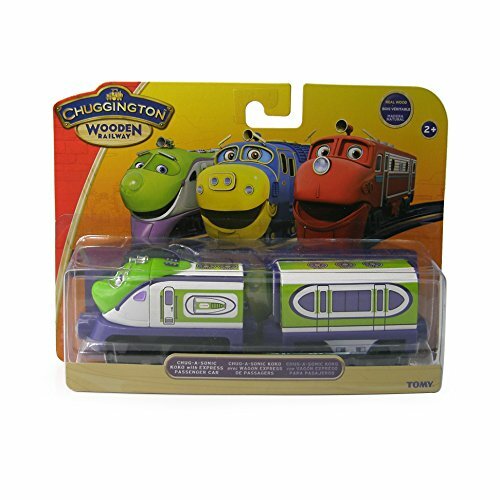 The first chuggington koko train toy is from TOMY. This features a Koko train inspired character made from actual hard wood construction designed with details that can be appreciated by a child. 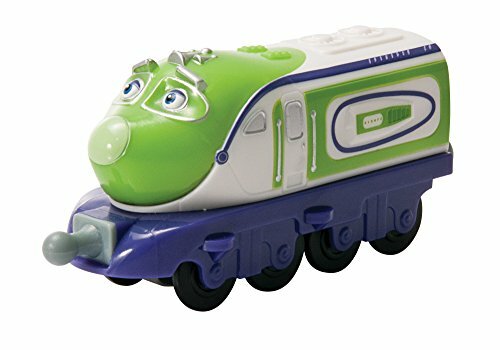 It uses colors and design closed to the actual Koko train character from Chuggington train series. 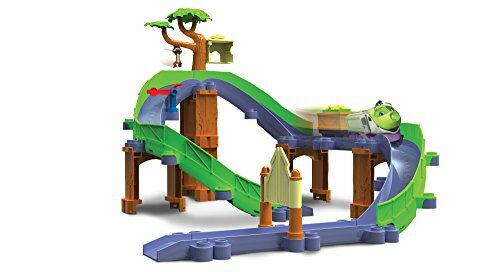 This wooden toy is compatible with other major wooden train products such as Brio and Thomas due to the easy-to-connect magnet at the front and rear part of the train. You could have this is a basis of your kid’s collection or have it as an additional train car option for their layout. You can acquire this wonderful toy at a great and low price. If you could see, this train set can highly give your children a new kind of fun and entertainment. The set can be extended, both the train cars and the train tracks depending on you or your kid’s preference. The next chuggington interactive koko train toy is a Stacktrack edition. It features a Chug-A-Sonice Koko that comes with a passenger car, giving it a lengthy size. The toy is crafted from die casting materials, a combination of durable materials such as plastic, rubber and metal. It has a nice slick and smooth finish. The train is compatible to be connected with other stacktrack train cars and can run or is a perfect fit on stacktracks. It uses strong and solid plastic couplings at the front and back part of the train car for an firm and stable connection. The toy has a fair price and reasonably affordable. The next is the same Chug-A-Sonic koko chuggington interactive toy train but is made from solid wood. This wooden train toy comes in two pieces and with a larger size. Attaching the two would give it a nice length and will provide more fun. The two train cars are greatly compatible to be connected with other wooden train toys from major wooden railway brands. The passenger wagon is detailed to Koko the train. The cars are installed with easy-to-connect magnets for a fast and easy connection. This is a great opportunity and a fantastic way to expand a wooden railway set. It is not at all, costly. 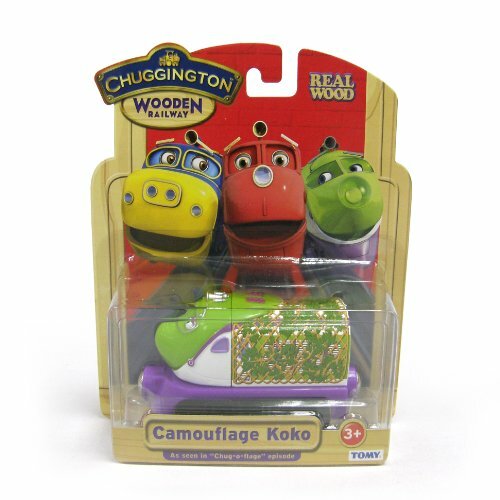 This is one of the amazing wooden railway toys of chuggington Koko. The train toy is fairly large and with nice, colored, smooth finish. It has a unique design of leaves at Koko’s train body that gives her a camouflaging effect. The toy is built from real wood that makes it hard, strong and solid, able to withstand certain amount of pressure and a rough play style of a child. It is a great toy train for kids aging 2 years and up. 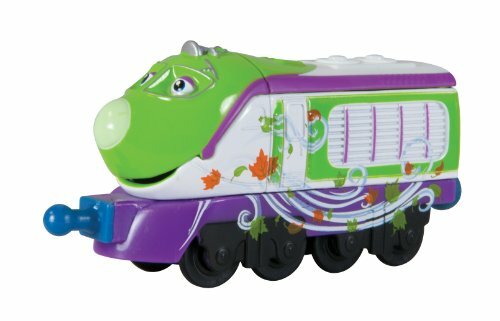 This toy is based on the actual appearance of Koko in of the episode of the Chuggington animated train series. It is a nice toy to collect as it can really related to the aesthetics of how Koko looked in one segment. TOMY introduces to you a chuggington stacktrack koko, safari set. The Chuggington toy comes in a set, complete with tracks and other accessories to actually build a train layout. It is ideal for starters or beginners who are just about to have their first train set. It would save you the trouble of purchasing a single train toy and spend some effort in looking for a train track, compatible to make it run. The set includes a special Koko deco and a stacktrack with 2 alternate layouts. It also has a figure of a monkey and an opening gate included in the set. It is best for kids with age of 3 years old and higher. Of course the previous Koko, Chug-A-Sonic stacktrack are closely the same with this one. 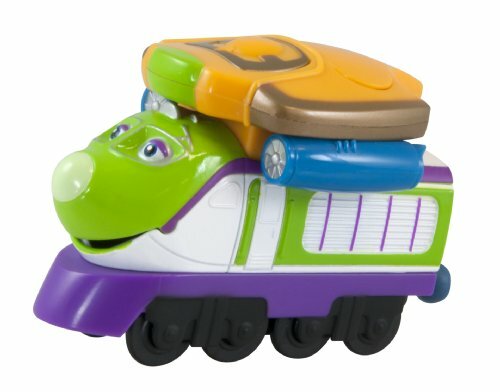 However, this train toy from TOMY is much cheaper as it does not come with a passenger car. It is actually a great and viable option if you intend only of purchasing a Koko train engine car for your kids. It is possible that you might connect other stacktrack train cars and buying a toy with an included passenger car for a higher price would be impractical. The toy is made from strong and durable construction using die cast materials, designed with realistic design and fun colors. This is a Storm Maker, chuggington stacktrack koko from TOMY. It is built from strong and sturdy, durable die casting materials which makes it feasible for a child’s play toy. The realistic decoration and fantastic floral details actually portrays the female characteristics of Koko. It has secured couplings in the front and back of the train. 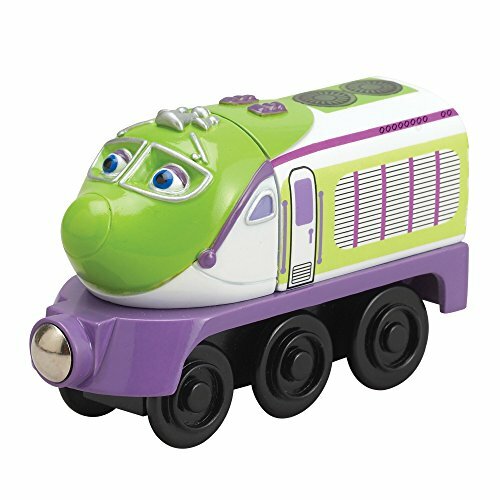 TOMY, gives you a chance to start collecting your kid’s favorite chuggington train characters for a great and reasonable price. The quality of the train and the amount of your investment would definitely get you to an advantage. 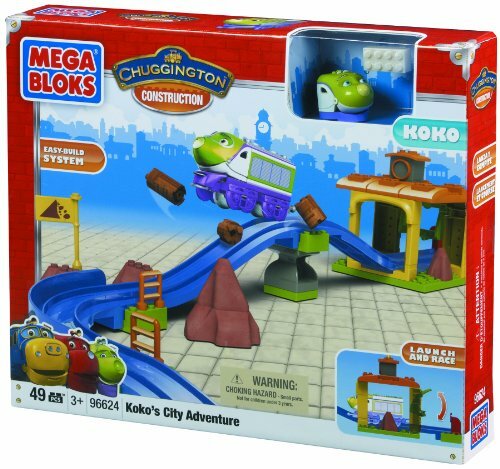 Mega Bloks brings you a set of chuggington koko express train that features a city adventure. Unlike most products in the list, this is actually a set, complete with train tracks, accessories and a train house. The set includes a buildable koko with 8 parts. It also offers mouth movement to provide your kids with extra role-play option and entertainment. The cool train house launcher will give Koko an extra boost she needs to get her to her destination at a great speed. There are 2 alternative layouts or a 2-in-1 building possibilities you can create with this set. It enhances your kids imagination unto what layout to build and connect. It offers loads of fun and a greatly spent time for your kids. This is a Plarail, Model train of koko chuggington. It is a large size train toy or model that measures to about 41 by 7 by 4.2 cm. The length is also far longer with other Koko character trains. The set includes 2 a total of 3 pieces consisting of 2 passenger train car and Koko. High quality materials were used to create this amazingly long and large train model. The details are of higher standards as well. The colors and design are perfectly smooth and has a glossy finish. 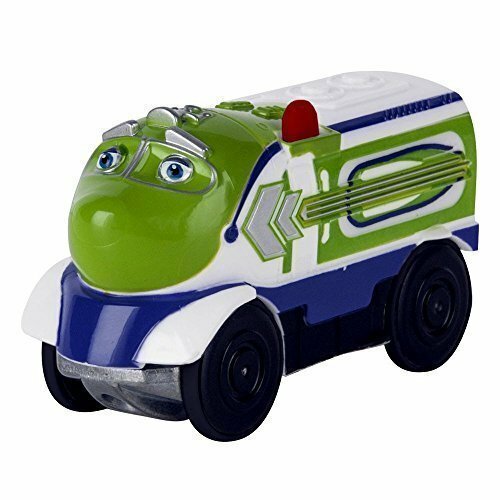 It is a great train toy or model for kids due to its superb durability and aesthetics while maintaining a low and affordable price. This is a new look, chuggington koko express train made from real and solid wood construction. The toy comes with an extra train car. 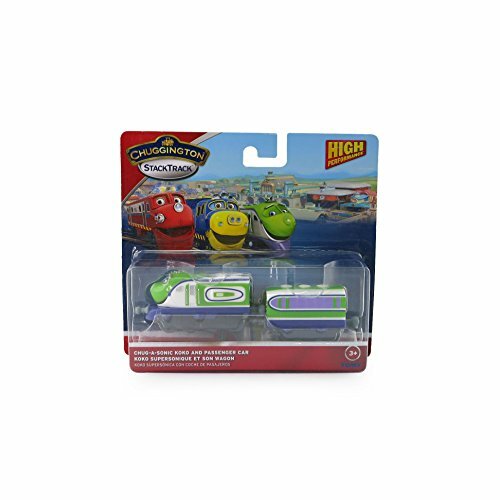 The toys in the set are compatible to be paired with other wooden railway train sets from most major brands such as Thomas and Brio. The wheels are a perfect fit to run on a standard size wooden train tracks. 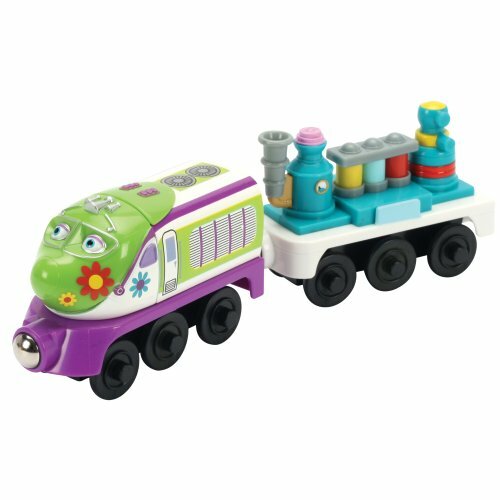 There are magnetic couplings at each end of the train to provide great connection with other wooden train toys. Your kids can easily attach and detach the train cars. It enhances their imagination of what train cars to choose and connect in order to make an ideal train layout. The next product would be the chuggington interactive koko with a sound chugger for a livelier play style. The train toy is a standalone or independent toy that is not compatible with chuggington stacktrack nor chuggington wooden railway set. It t is a train product on a larger scale and produces authentic chug sounds. The details are excellent. It holds and portrays an actual Koko design and appearance from the train television series of Chuggington. It also has a nice price that is fairly reasonable and easy on your budget. If budget is not at all a problem, you’d better look into this product. This is a Plarail Chuggington set that features Koko and Hodge. Two of the famous and known characters in the chuggington train series. The set comes with 3 interchangeable freight cars making it a total of 5 pieces. The cars are compatible to connect with either Koko or Hodge. You can easily attach and detach them with each other due to strong and durable plastic couplings of each train cars. The train set is made from durable plastic and metal components which make it last longer than a kid’s usual train play set. The details are comprehensibly beautiful. The train car’s design and colors perfectly coordinates with each other. It requires a single double-A batteries which is not included in the set. 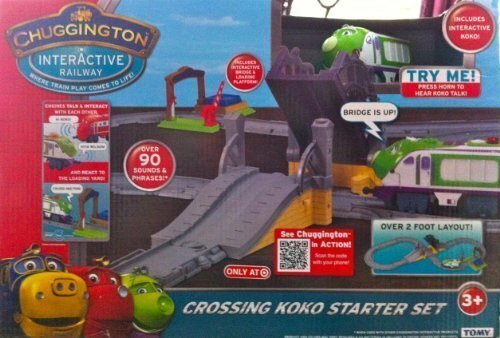 This a chuggington interactive koko starter set from TOMY. It has sound features of over 90 different sounds and phrases. The train set also features a bridge to where Koko passes through. The train track layout measures to about two feet in length. It is actually fun and worthwhile for your kids as they can enjoy the entertainment of moving the train toy from point to point as well as listen to the sound. The inter-activeness of the set will enhance your children’s knowledge. It teaches them how to familiarize sounds and phrases and get to know about words and alphabets. It is highly educational while at the same time offers a great deal of child happiness. There are only a few of this value packs left. If you want something much more affordable than purchasing a single set or piece of train toy, then this value pack would do you perfectly. 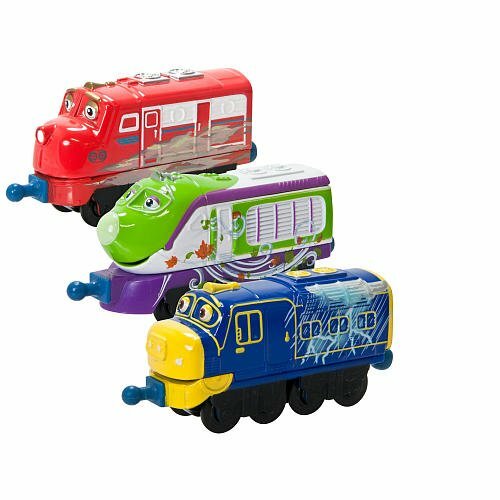 The pack includes 3 of the much known characters in the train series, Wilson, Brewster and Koko. Each of these toys includes in the set are compatible to run and attach with stacktrack trains. It has also the right size that fits the tracks. The materials used are that of a high standard and worthy quality. It is built and constructed with great sturdiness. The toys are designed to withstand different play styles of a child including rough and heavy beating. The next koko chuggington toy is a stacktrack series from TOMY. 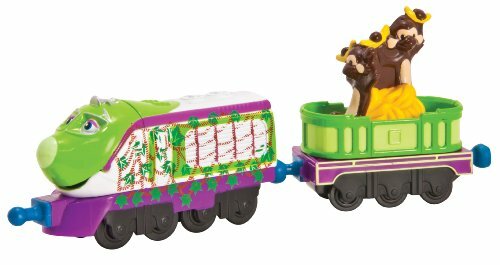 This train toy features Koko with a leafy design which could actually be a great Christmas train. The concept of the design is actually from one of the episodes of Chuggington trains where Koko wears a camouflage to hide herself. The train toy comes with a train car that carries or is loaded with a monkey figure. The train toy, in relation with stacktrack standards, is made of high quality die casting materials to create a strong and sturdy train toy. That is to provide it with extra hardness to withstand certain play style of your kid. This is a koko chuggington interactive train toy. The learning curve vehicle is perfect as a gift or present during the holiday. It is a cost-effect train toy. This product is very affordable but provides great amounts of benefits. The toy is securely strong and made from eco-friendly materials which are safe for your kids. The size is also large not to be a choking hazard, especially for toddlers. The train toy is stacktrack compatible. Your kids can run them at any time and connect with other stacktrack trains. Seeing the picture, you’d probably notice the length of this Koko train toy from Chuggington characters. It is a special edition of Koko of a larger size and scale. The length is pleasingly long compared to the previous models of Koko. The toy can be purchased for a reasonable price but much expensive as to some previous Koko train toys in the list. The details are realistic, very close to the actual appearance of Koko in the television series. There are only a few of this amazing and lengthy Koko train toys left. You would not want to miss this chance to get your kids this limited and unique kind of Koko toy train. A lovely piece of chuggington koko die cast train toy, this is made and brought to you by TOMY. The toy features Koko wearing a jet-pack, ready to lift off and fly away. This is actually a stacktrack series of Koko made from die casting materials to make it extra sturdy. The details are realistic and use fine colors. The toy has a smooth and glossy finish. The toy has strongly secured couplings on the front and in the rear part of the train that makes it stacktrack ready. The train toy uses a standard length and width that could fit perfectly from die cast made tracks. It is ideal for children with age 3 years old and above. 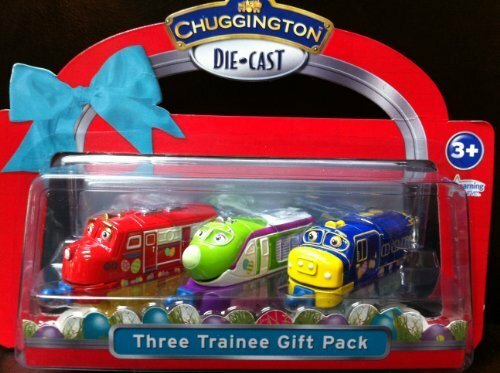 This starter pack is great for kids who wants to own a train toy and loves chuggington Koko character. The set comes with three of the best characters in the series, Wilson, Koko and Brewster. As seen in the picture above, the toys are with sharp colors and fantastic work of art when it comes to details and design. Each of this are able to connect with other stacktrack train toys and can fit perfectly in die cast tracks. The 3-in-1 set can be availed at a low and affordable price. There are only a few of this left and you would not want to miss a great opportunity to have a practical investment. It is not that usual that you see a motorized engine chuggington koko train toy. Fortunately, this one right here is a battery powered stack track train toy brought to you by TOMY. Your kids can now add some movement to their existing stacktrack using this wonderful toy. All you need is a few pieces of battery and the train toy is good to go. It is made from strong and sturdy die cast construction that is sure to provide a long lasting fun. The toy however, is expensive compared with most train toy or set in the list. But for some who worries less about the price, then this product could bring a whole new level of fun to your kids. It is a safe and a highly educational train toy which is worth the investment. Seeing all of this great collection of Koko Chuggington train toys, you can start building up your kid’s ideal train layout. The products on the list can widen your options in finding and setting up the most appropriate toy set for your kids. You should also take note that these toys are considered to be highly educational. 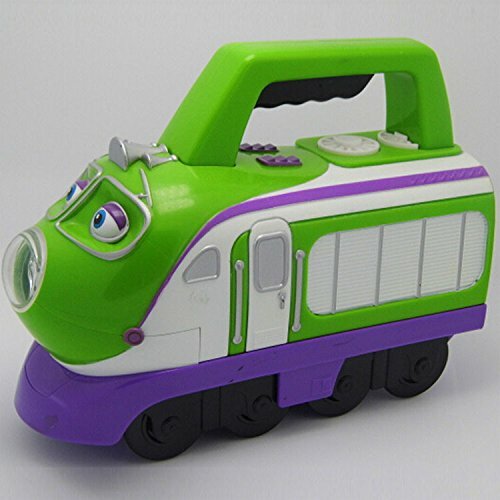 Train toys along with their design, colors and inspiration can stimulate and develop a healthy mind which could probably give a better childhood foundation. In addition, most of these train toys or sets are financially light and easy on the pocket. They are a practical investment. For a short amount of expenses, the benefits it returns or gives back to your child is probably more than what you have paid for. There is actually no wonder why most homes, even schools, provide kids with train toys during fun and leisure time. It is the best type of toy a kid could have growing up. We certainly hope that the list or gallery of different Koko Chuggington here would help you in your search of the best and ideal toy for your kids based from the actual Chuggington animated train series. All of these toys are built with great durability and is guaranteed to serve and educate your kids for a period of time. It is in our best interest that you pick, only the quality products that are suitable for your kids and to have your investment spent only with the right kind of Chuggington Toys.